Travelling? Know what your benefits cover! It seems like almost everyone’s heard a horror story from a friend or family member who knows someone who got stuck dishing out hundreds of thousands of dollars in medical expenses while on vacation. A quick google search and you’ll find many stories about couples who had babies internationally or about older individuals who have their hefty medical bills rejected once they were back in Canada. Living Expenses can really add up if you or someone you’re travelling with ends up hospitalized. A pregnancy that suddenly become high-risk can trap a family for months internationally if mom needs constant bed rest to prevent premature birth or other complications. Injuries and illness can also ground a person for weeks. That’s why Health Risk gives Canadians the opportunity to cover the meals and accommodations of insured family members. Transportation Coverage means a lot more than just emergency transportation to the closest hospital. We understand that long hospital stays — particularly out of country stays — can be difficult. That’s why we work to keep you as comfortable as possible while you get better. With some Health Risk plans, we can fly a friend or family member out to where you’re staying to be by your bedside. And, if you’ve brought children or pets on your trip, we’ll have them safely returned to family members in Canada. If it’s safe, we’ll also arrange emergency medical transportation to bring you home. When it’s time to book your vacation this summer, remember to take a good look at your health benefits. If you’re not going to be covered while you journey across the world, be sure to purchase travel insurance that provides you with the health benefits you’ll need. At Health Risk, we take protecting Canadians very seriously. 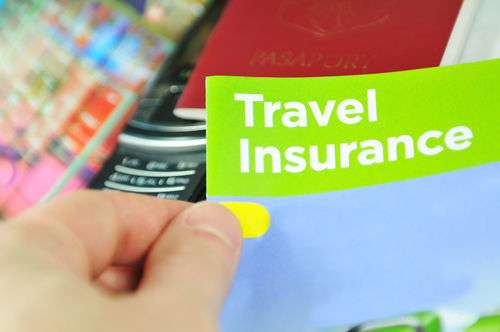 Contact us today to see how you can benefit from our travel protection plans.